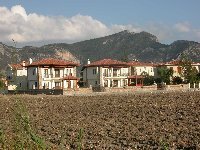 Property situated within the Gulpinar area of Dalyan amongst other individually designed villas. 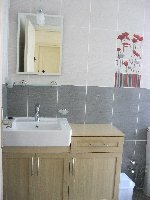 Top quality fixtures and fittings. Locally built and maintained. The villa has mountain views. Its own private grounds with a 35 sq mtr large pool, depth tapers from 1.2mtrs to 1.6m & is suitable for children. Out side shower & w.c. There is a separate patio and BBQ area. 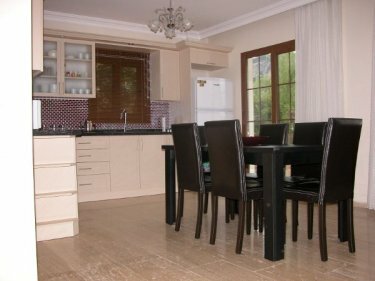 The villa offers 4 double bedrooms, one downstairs. A lounge area with wood burning stone fireplace, dining area (table and chairs to seat 6) and a fully equipped kitchen and utility room. Down stairs wc. Upstairs there are 3 further double bedrooms - 1 en-suite, 2 with balconies and a family bathroom. 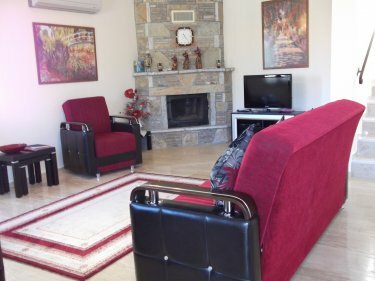 Car hire is available locally but isn't needed to enjoy your stay here as Dalyan is in walking distance & there are local buses, taxis & river boats. We use a local company for airport transfers who pick up the villa key for you. 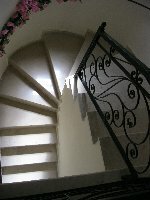 The villa is fully cleaned & prepared for your visit & you can book additional cleans. Bedrooms: Bed 1 downstairs 2 single beds and balcony. Bed 2 upstairs master bedroom with king size bed, en-suite and balcony. Bed 3 double bed and balcony. Bed 4 double room with 2 single beds. Additional sleeping area on sofa beds x 2 in the lounge. Family bathroom on first floor with wc, bath and shower over. En-suite to master bedroom with shower and wc. Utility room with wc and hand basin. Garden room with separate wc and handbasin. Oven, hob, fridge/freezer, microwave, washing machine and dishwasher. Fully equipped for 8 guests. Ironing board and iron, wc and hand basin. Dining table with 6 chairs. 2 three seater sofa beds and 1 armchair. TV/DVD player with a selection of DVDs available. Games, books and toys. Log burning stone fireplace. Cleaning/towels/linen/maid service: Hand towels and bedding supplied please bring your own beach and bath towels. Pool and grounds maintained regularly through out the summer months.